It's a good week for anyone who's been thinking of upgrading the graphics in their PCs. AMD has unleashed its new Radeon HD 7950 chip on the world, and what Sapphire has created with it is nothing short of stunning. In fact, we reckon it's possibly the only high-end graphics card worth buying. Also through the TechRadar labs have been several laptops and TVs and an interesting new designer camera from Pentax. As good as the reference version of the AMD Radeon HD 7950 is, the Sapphire HD 7950 OverClock edition is just better. In fact, we think it's the best graphics card on the planet right now, offering as it does a potent mix of performance and a pleasant price. The raw performance of the HD 7950 is a known quantity now, as is its overclocking potential, and with the Sapphire backing it's an even better GPU. There's also the power-saving goodness of the AMD ZeroCore Power technology which turns off most of the GPU when it's not needed. Quite simply this is the only card we'd consider spending cash on if we were looking for a serious GPU upgrade. The Toshiba 32RL858 is one of those TVs where you find yourself forever double checking that its price is really as low as you thought it was. 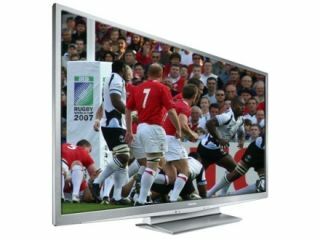 After all, it offers online smart TV functionality, a Freeview HD tuner, a Full HD resolution, DLNA and USB file playback, Edge LED lighting and even 100HZ processing, despite costing under £400. Toshiba has been quietly but surely making the budget end of the TV world its own in recent years, and the 32RL858 is a perfect example of just how much Toshiba has learned, and why the brand is now hard to beat for anyone on the hunt for a good TV for not much cash. The HP dm4-3000sa is a capable portable laptop for those who want style while they're on the move. Admittedly, it's not packed with power - HP has bundled a 2.5 GHz Intel Core i5-2450M processor, a 500GB SATA hard drive and 4GB of memory with space for two more sticks if you fancy an upgrade - and there are lighter machines for the money, but the Beats credentials give it the street cred to attract students and younger users. Anyone who does invest will be rewarded with a solid performer capable of work and play on the move, but those with demanding needs will want to look at portables backed up by a bit more grunt. The Pentax K-01 is clearly an attempt by Pentax to stand out from the wide variety of options that are now available in the ever expanding compact system camera market. It seems unlikely that the company would ever be able to take on the marketing might of existing giants such as Panasonic, Sony, Nikon and Olympus, so it needs to do something to create waves. That's exactly what the K-01 achieves. Whether or not those waves are for the right reason, is difficult to tell.